National League side Eastleigh have agreed a loan deal with Ebbsfleet for midfielder Robbie Willmott. He has played 14 games for Fleet this season and moves to the Silverlake Stadium after a loan move to League Two Crawley Town collapsed last week. 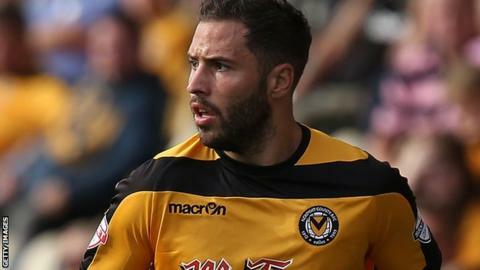 Former Newport, Cambridge United and Luton player Willmott, 25, will stay with Chris Todd's side until 2 January. "He gives us a different option as someone who can play on the right-hand side," Todd told BBC Radio Solent.